Many of us don’t even think about our 5 senses of touch, sight, smell, taste, and hearing because we have them all, but what about people who loss their sight, or sense of smell, or are born without hearing. How does each sense work and affect our lives? Use these activities to find out. Before jumping into a few ideas, do you want to skip all the planning? If so, use this Activity Booklet to learn more about the 5 different senses we have: seeing, hearing, smelling, tasting, and touching to interact with the world around us. The activities in this booklet will have your girls exploring all 5 senses and in the end they will have a better understanding of how important each sense is and how they all work together. With a step by step activities, you can’t ask for a easier way to run your meeting. Learn more and get yours today! Print off a variety of visual illusions for the girls to see if they can see the different things in picture. Find things that have different textures and create a “feel wheel”-cut a big circle out of poster board and divide into eight pie slices in each slice glue something that has a different texture like smooth, rough, sticky, bumpy, hard, squishy, or hairy. Then have girls take there wheel to another person in troop have them close there eyes and guess what each item is. Now that your girls know about the 5 senses this book could be a great way to explain all the ways the senses work in specific situations. Get your copy of the Look, Listen, Taste, Touch, and Smell: Learning About Your Five Senses by Pamela Hill Nettleton. It is a great read and not even boring for us leaders, I learned a thing or two myself. Where did you buy those adorable face masks? Purchased them at dollar tree a few years ago. Love your ideas! 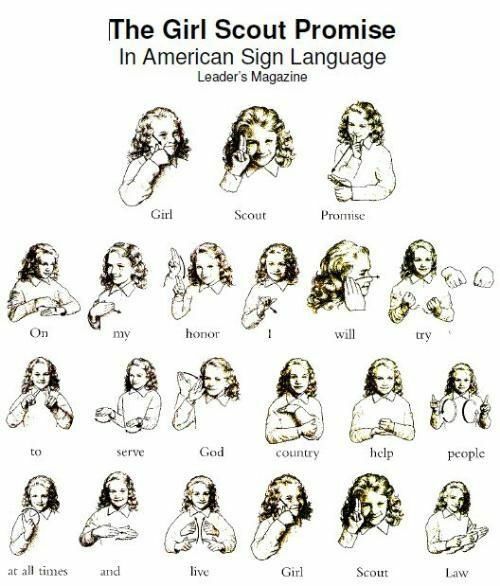 Where can I get a copy of the Girl Scout Law in ASL printout? Here is one that is pretty good size – https://s-media-cache-ak0.pinimg.com/564x/56/98/f1/5698f119cf62581bd8fb11c8e3339df9.jpg I have on my list to develop one to put on this site soon.